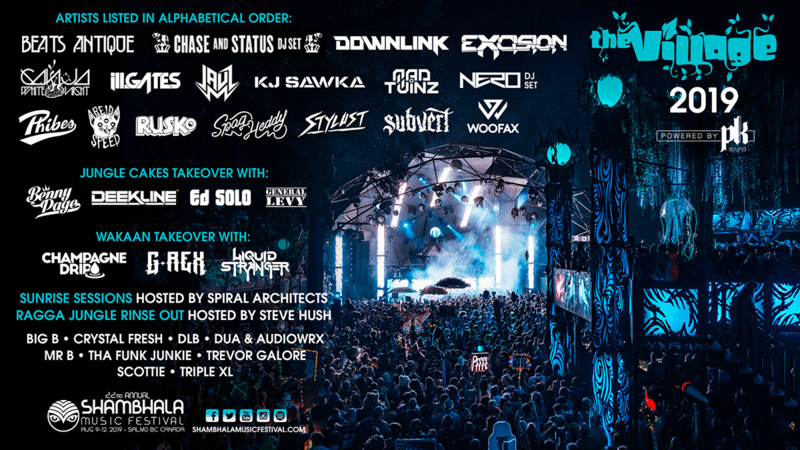 The Village Stage is thrilled to share with you their full line-up for the 22nd Annual Shambhala Music Festival. This year will be the 20th year of the Village Stage and they have brought in some heavy hitters, up-and-comers, all-time favourites, and everything in between to help you celebrate! Come get down with us in the Village with all the tasty bass and beats on the menu. We will bring the bass, you bring the party hats. Follow The Village Stage Facebook Page for artist highlights. 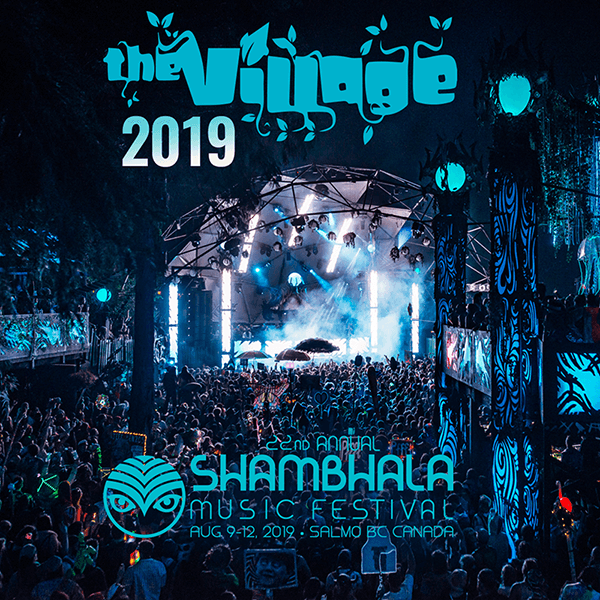 Bump The Village Stage #Shambhala2019 Playlist and get ready to come HOME!